Today, I am excited to share a couple of animals, which will be used as spot illustrations in my new book. The story about children’s sleeping places in different cultures around the world is written by Rebecca Bond and will be published by Houghton Mifflin Harcourt in 2020. These little animals bring back memories of the late 70’s, when I made a line of fabric pins. Of course, what I’m making today is much more intricate, but they are similar in size and concept. 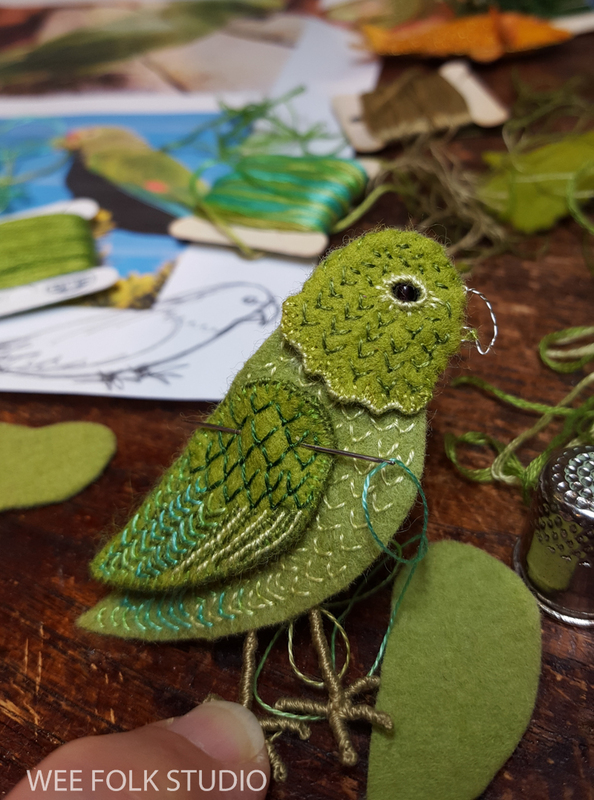 This green parrot goes with the South American scene . 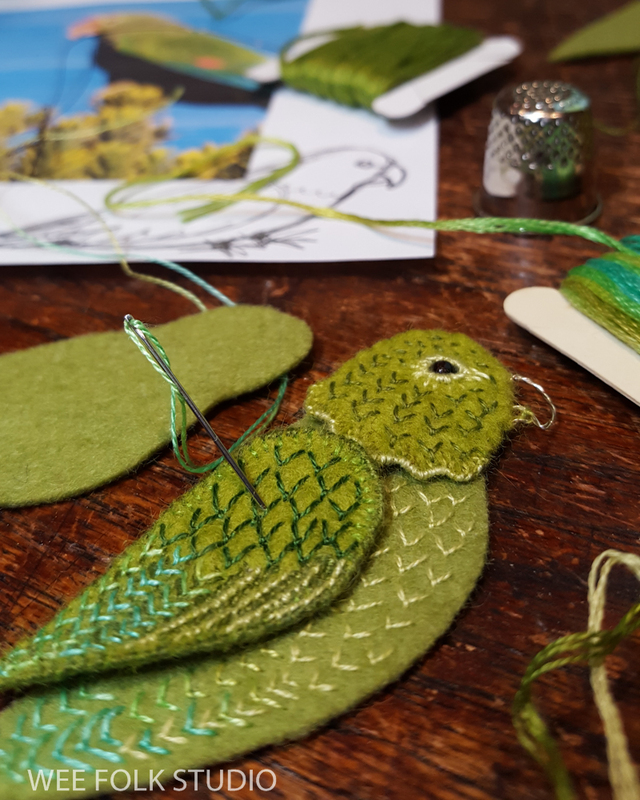 After doing photo research and drawing a simple parrot shape, I cut out pieces of felt and began embroidering feathers. 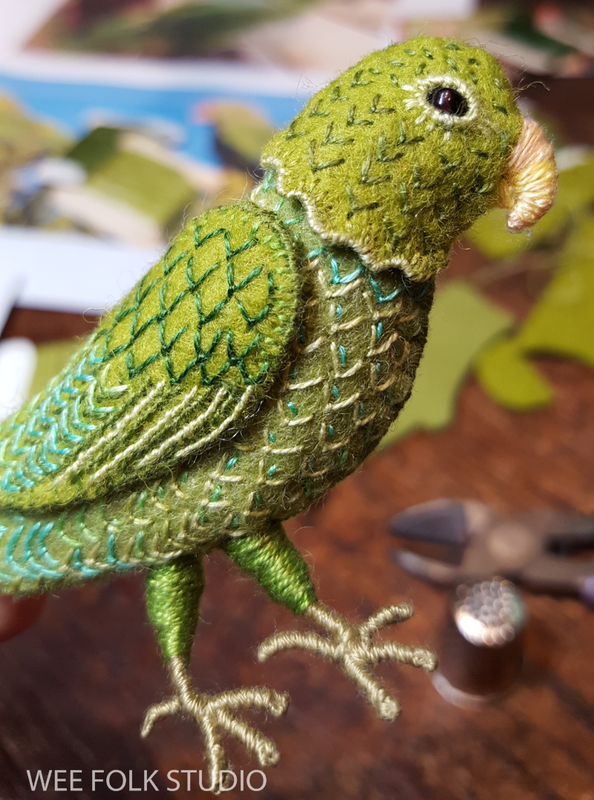 I formed the outline of the parrot’s beak with wire. Its eye is a glass seed bead, set inside a cut out hole. 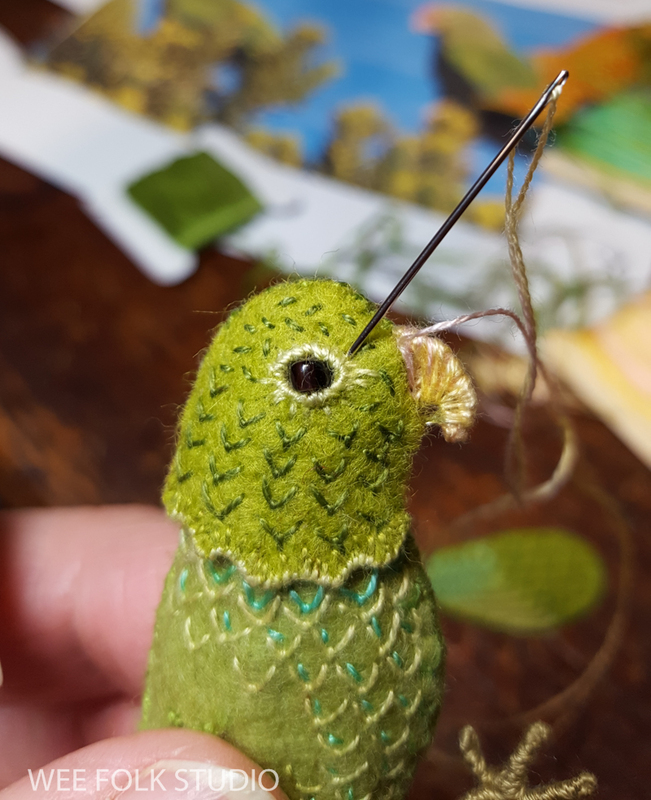 I wrapped the beak with embroidery floss. Then I added bird’s feet made of floss wrapped wire. 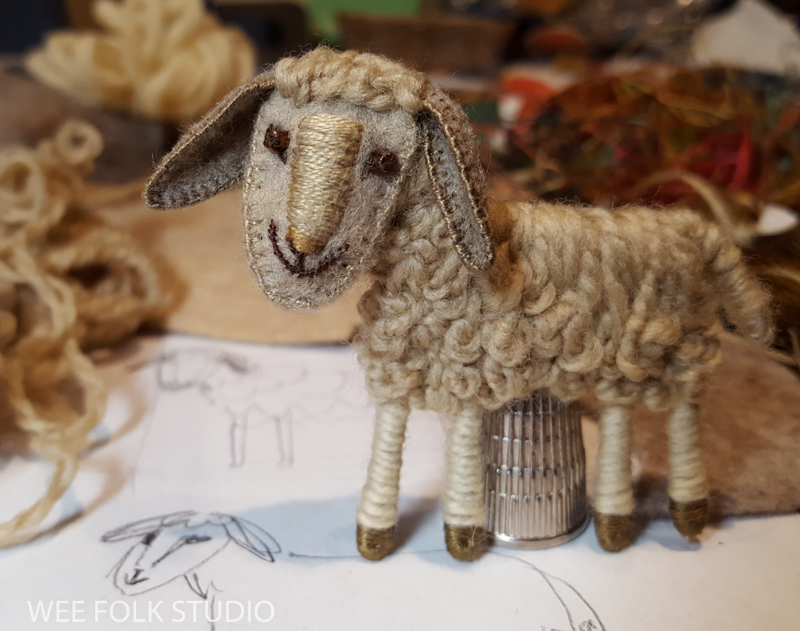 The sheep will go with the scene set in Afghanistan. In my research, I found pictures of local breeds with particularly long faces and ears. 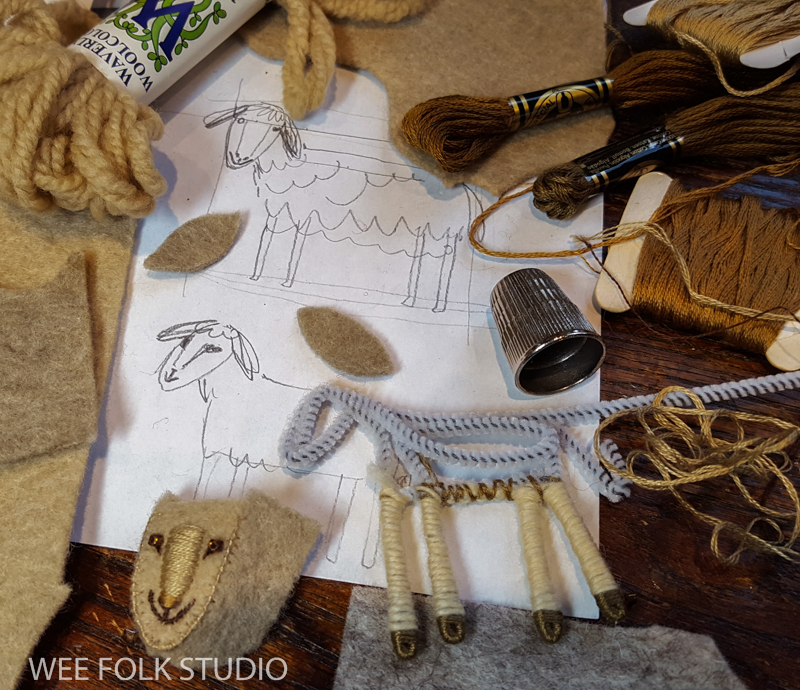 The sheep’s legs are made with a pipe cleaner, using the same basic technique that used for the dolls in my how-to book, Felt Wee Folk. 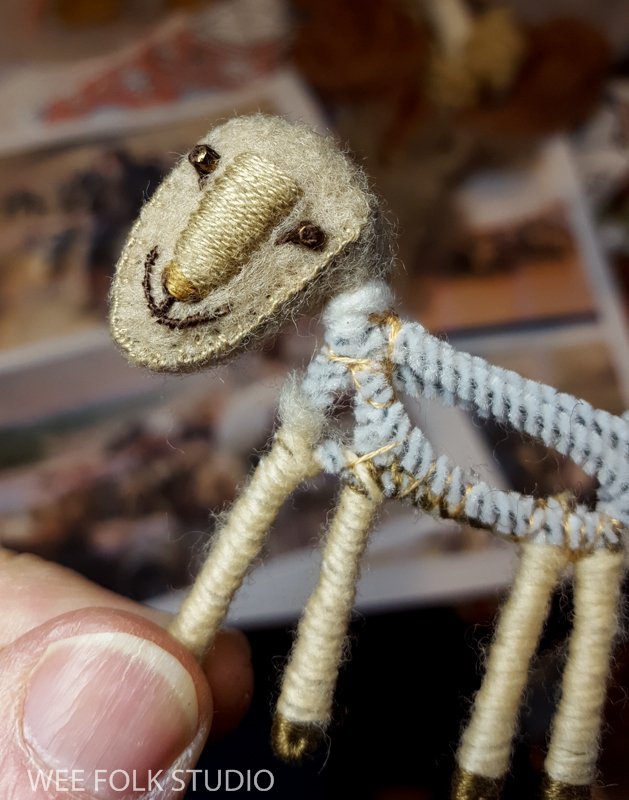 It’s face is embroidered wool felt, with seed bead eyes. 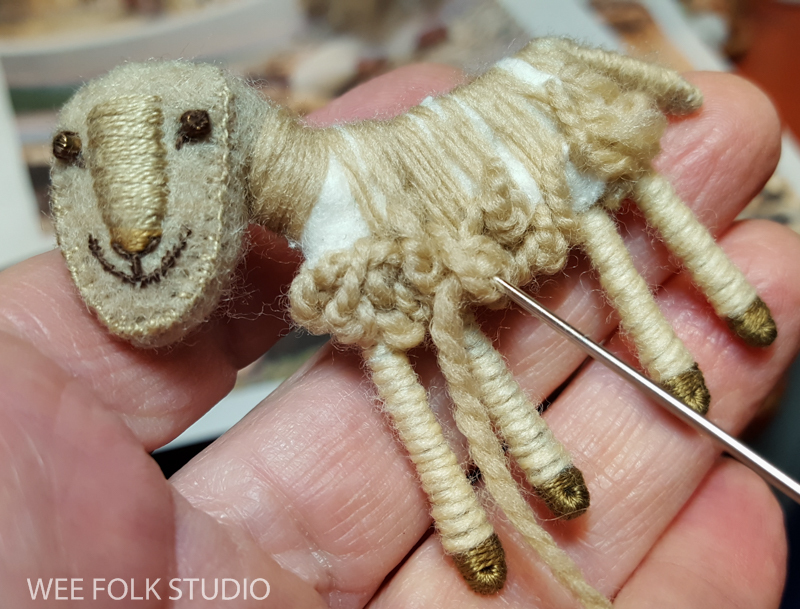 Luckily, I had some wool yarn of the right natural shade for the fleece. It was fun to make a tangled mess of french knots. 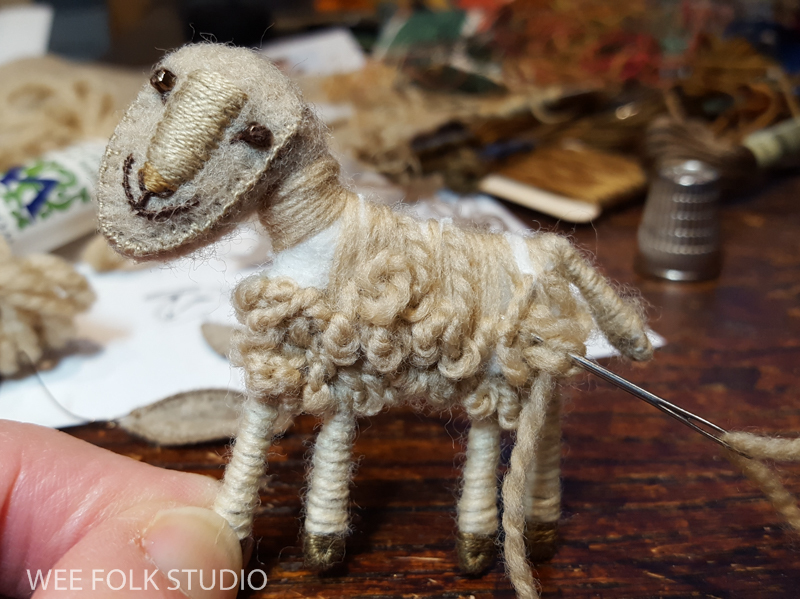 Then, I sewed on it’s ears, hiding the ends on the top with wool yarn. I’ll be sharing more animals (and scenes) as the book progresses. Here are links to posts about other illustrations I’ve finished for the book: Afghanistan, South America, Japan and India. 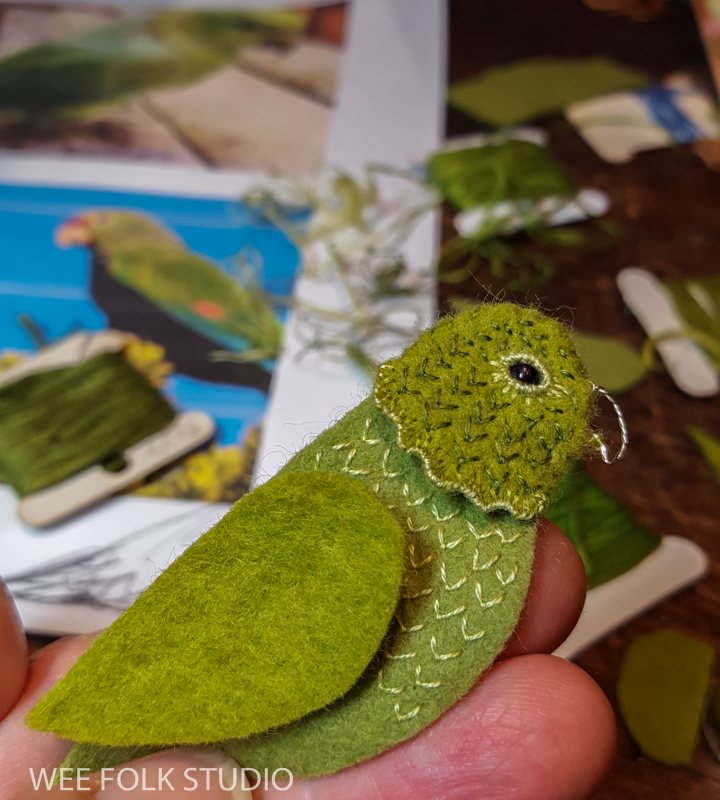 This entry was posted in Animals, Bed Book Animals, Bed Book in Progress, Children's Books, Embroidery, Felt, illustration by Salley Mavor. Bookmark the permalink. I enjoy These tastes so much and my mouth is watering for the book! Your work is thrilling! Cannot wait for your next book! Stunning! I love the delightful surprises in this book. I will need five copies for my sewing friends. I adore the parrot!! So look forward to seeing the book and am enjoying your progress along the way!! you are so gifted. Happy I found your webblog. Love your work! Can’t wait to see more.